Fast forward to October 2013 & I had my first pair of Asics GT Trainers a Garmin Forerunner 110, heart rate monitor and a Nike Dry-fit running shirt, after 1812 recorded miles and 287 recorded activities I got very ambitious. After 2333 miles & 601 recorded events walking and running I have just upgraded again to the Garmin 645, IT’S AWESOME!! Gone is the chest strap heart rate monitor, the Vivosmart HR has been retired, I have one device that does everything, how cool is that? Now Before I had the Forerunner 110 I assumed the route I was running was at least a 10K and doing the double and a bit more would get me into the London Marathon with the number 1 ranking, it was only after I started tracking my data did I find out my “long route” was only 2.3 miles. Still it gave me something to aim for. The amount of information available is incredible! You will note with the Forerunner 110 I have a map of where I have been and data on elevation, Pace and Heart Rate, to get the data off the watch I need to plug it into its cradle and upload the data to my laptop and the Garmin Connect app will upload it to my account, its clunky but it’s not hard and it does tell me the basic information. 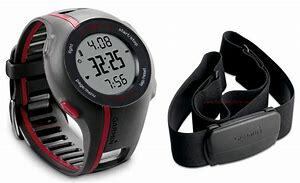 The Battery life was reasonably good, however the GPS signal did take a while to work, the data available is fairly simple, as well as the map of your route, you get elevation, pace and heart rate, this is as long as you have the heart rate monitor on. You will also get a breakdown of how long it took you to do each mile, this data is very helpful and shows you where you were strongest on the event you have done and what you need to work on for the next race, the elevation graph also proves you did run up that hill !! The Garmin 620 is a massive upgrade from the 110, it was twice the price! 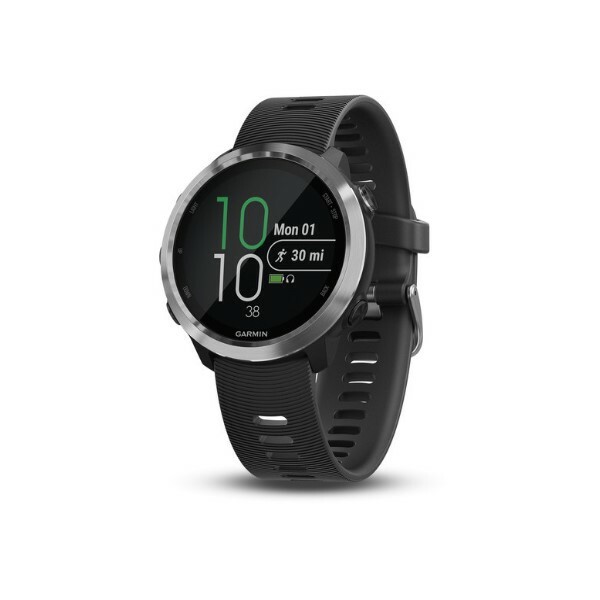 The watch is not only touchscreen but has wifi & Bluetooth, this means it will automatically upload your data to your running account (Garmin Connect) without having to plug it into the computer to view your data. This model also comes with some other stats called “Running Dynamics” this includes your average stride length, it appears mine is 0.92 metres. I found this watch to be a lot quicker to find a GPS signal and a lot more user friendly. I have used it abroad several times and it worked very well, I am sure it has many more functions that could be very useful, however I didn’t use or find them. This watch is not a “smart watch” when I say that what I mean is it doesn’t do step tracking or connect to my phone to get my Facebook updates. You might say it’s a purist running watch, however as I did start tracking my steps and wanting my messages on my wrist instead of having to get my phone out of my pocket!! I still had to continue wearing a chest strap heart rate monitor, I seem to have a knack of breaking them as I have gone through 3 so I was getting a bit fed up using it, the 620 served me well over the two years I wore and inspired me on four marathons & made me feel like a “Proper” runner as I was no longer using a basic watch, again the battery life was really good but I did get a scare on my last marathon as the battery warning came on just after I crossed the finish line on my last marathon, just think what sort of a mess I would have been in if I had done some more character stops on the Disney Marathon!! Technology has really moved on and with the launch of the “Fruit-Based” watch everybody else has started playing catch-up, Garmin is no slouch and the 645 is the watch I was waiting for, believe me I thought really hard about going over to a Apple 3, I have an iPhone, an iPod & I like Granny Smiths so the signs kept pointing me towards green fruit. 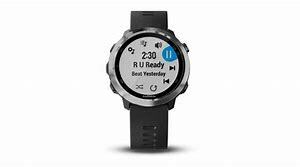 The Garmin 645 was the answer to my prayers, I wanted a smart watch and a serious running watch, I got a bit fed up of wearing two devices and I wanted something that looked ok to wear for work as well as play, the 645 fits both of those requirements. The 645 has many many other features and things that I still haven’t found, it even tells the time, going through the functions I have found you can also do other things apart from Running, including walking, cardio, treadmill running, swimming (I tried it its true) & biking, The watch has its own Barometer, what this means is what I think is a hill actually it isn’t!! The GPS is a lot quicker and appears to be a bit more accurate, I also found a real time map on it doing my last run. In conclusion this is the best watch I have ever owned, in this I am including the Casio F-85 I got for my tenth birthday & the Knight Rider watch (ask your dad kids!) I had in 1985 that played the theme tune, it’s just that good. Just for a laugh below is my data over four years of running the Fleet Half Marathon, you will note I have had limited success, however I don’t intend to give up as it’s a great race. 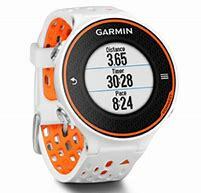 Check out the Garmin 645 right here on the Alton Sports site!